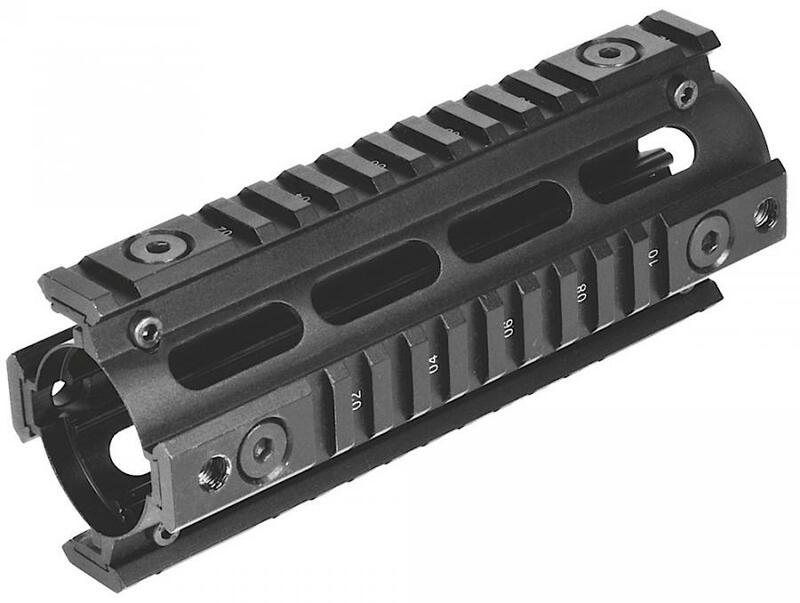 NcStar AR-15 quad rail system 6.5-Inch specifications. Introducing the AR-15 quad rail system. This 4 rail hand guard system is designed to replace your standard AR-15 hand-guards installing in minutes with no gun smithing or modifications required. The removable weaver style rails are customizable so you can attach forward grips, flashlights, lasers, or any other type of rail mounted accessories. The quad rail system is constructed of hard anodized aluminum to prevent corrosion for lasting durability.